A major winter storm that blanketed most of the Midwest with snow earlier in the weekend barreled toward New England Sunday, where it was expected to cause transportation havoc ranging from slick and clogged roads to hundreds of cancelled airline flights. DETROIT (AP) — A major winter storm that blanketed most of the Midwest with snow earlier in the weekend barreled toward New England Sunday, where it was expected to cause transportation havoc ranging from slick and clogged roads to hundreds of cancelled airline flights. The National Weather Service issued winter storm warnings or advisories for part or all of at least 15 states stretching from southeast Missouri to the northern tip of Maine. The storm was caused by the clash of an Arctic high pressure system with a low pressure system coming through the Ohio Valley, said NWS Baltimore-Washington, D.C. meteorologist Dan Hofmann. 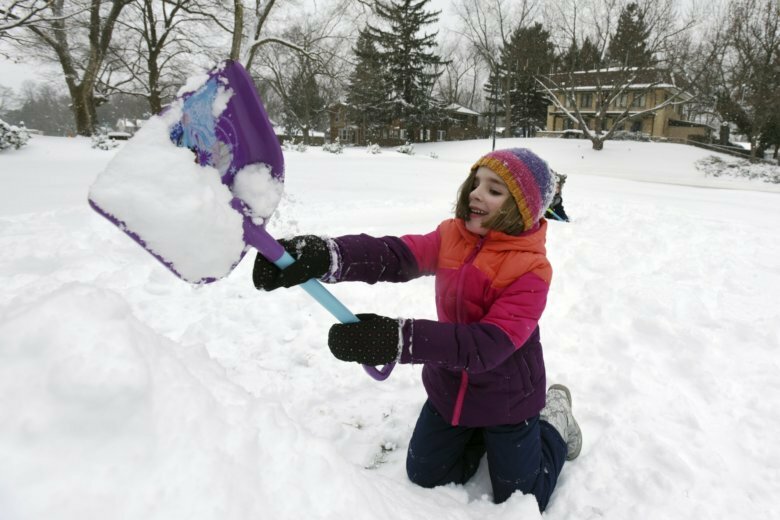 Earlier, the system dumped up to 10 inches of snow on parts of the Midwest Saturday, with more on the way Sunday from lake-effect snow off the Great Lakes. Hundreds of flights were cancelled in and out of Chicago area airports on Saturday and as the storm moved east airlines were cancelling flights to the east coast. FlightAware said late Saturday that airlines had cancelled 250 flights that were supposed to leave Sunday from Boston’s Logan International Airport. Dozens of Sunday flights were also cancelled from New York’s John F. Kennedy International, Reagan National in Washington and Newark Liberty International in New Jersey. Some Midwest residents didn’t let winter weather keep them from going outside. In Iowa, temperatures in the teens Saturday had dropped to zero (-17 Celsius) or below by late Saturday, producing wind chills as low as 20-below (-29 Celsius) by Sunday morning.